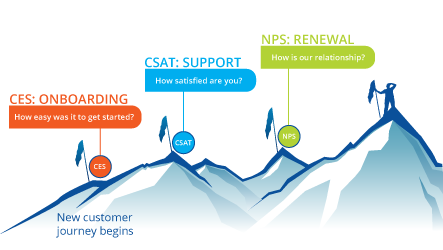 Empathy is a soft skill, and while those are typically difficult to measure, the effects of empathetic product development can be seen in every CX metric: Customer satisfaction (CSAT), Customer Effort Score (CES) and Net Promoter Score (NPS). But I think we can go further than just recognizing the emotional impact of problems. That’s scratching the surface of what having empathy for customers can mean for producing superior customer experience. Because empathy shouldn’t be reduced to realizing customers feel bad when a product isn’t working for them. A whole new world opens up when you also consider how you can design your product, updates, and expansions to enhance positive emotions as well. How can you get more emotionally in sync with your customers? Which are the most important negative emotional outcomes to manage? To answer these questions, try these empathy building exercises. Often relegated to customer service and customer success departments, ‘active listening’ to find out why your customers use your product and what they really want to achieve is very important. You can’t get the depth and honesty of answers by just sending out a survey – this works much better if you do phone, Zoom or in-person interviews. In fact, Roman Pichler recommends product managers meet real users on a regular basis. You may find that your assumptions of why customers use your product aren’t accurate, or don’t tell nearly enough of the story. To get down to customers’ real motivations, ask open-ended questions beginning with “why” and “how.” Then make sure to record their answers in their own words (you can hand those assets to your copywriters for later use). Empathy is often described as ‘putting yourself in someone else’s shoes’ – and there’s no better way to do this for a product manager than to actually use the product, just like any user would. You’ll empathize with users’ frustrations as you experience your own product’s shortcomings and hopefully find moments where it’s possible to create more delight. But always keep in mind – you are not the average user. You’ll still need to listen to your users to get a complete picture of how they feel, and what problems they perceive as being severely aggravating. Someone, somewhere, is tracking customer experience metrics, sending out surveys, and collecting the answers. That someone might even be you. When reading users’ written responses, don’t just look for problems to solve and ignore the positive comments. Read them for emotion and see what conclusions you can draw about what people are feeling, and want to feel. Pick a few relevant verbatim comments to bring to the rest of the product team. Reading these comments often helps engineers and designers feel the same joy or frustration as their users. 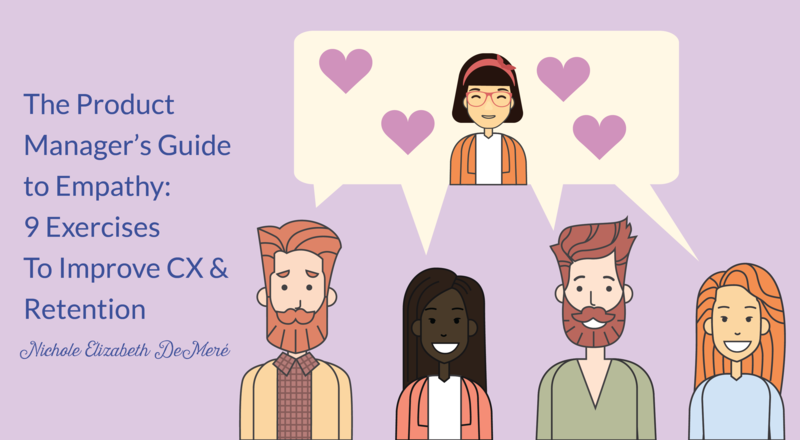 This new emotional understanding will help you evangelize CX as a priority with everyone. Those open-ended response answers are a goldmine for user research that can alert you to problems – and give you hints into the customer’s emotional state of mind. However, once you are getting more than a hundred comments a month, seeing the forest for the trees can be a difficult exercise. Qualitative feedback is notoriously tough to quantify, but it is now possible and easy to quantify sentiment with the help of machine learning. 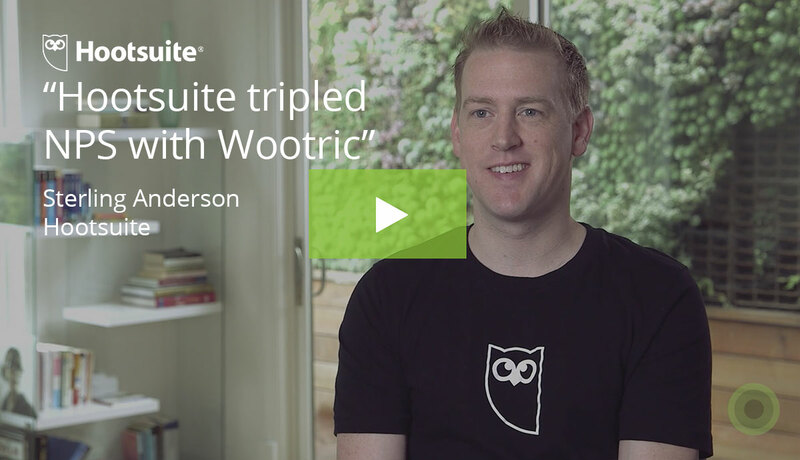 AI-powered platforms, like Wootric CXInsight™, automatically sort your customer comments into themes while simultaneously assigning positive or negative sentiment. This provides you with a big picture understanding of how customers feel about your product and why. Categories of feedback vary by business sector and business model–payment processes & delivery for e-commerce, perhaps, while UX and usability may surface for SaaS products. Quantifying what your customers are talking about can help you track emotional trends over time. What gets measured gets done, and adding empathy into your product development work is no different. The KPIs for empathy may look a little different than your typical performance indicators, but the good news is: They’re not difficult to get. 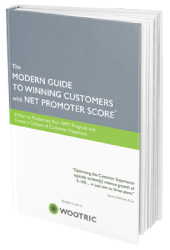 You’ll find key performance indicators like NPS, CES and CSAT are a good start, and comments in the open-ended questions can give you insight into the metric. Start identifying what kinds of ratings and qualitative answers correlate to genuinely happy customers – and frustrated customers likely to churn. You’ve done your user journey, but even though it’s part of the buyer persona building process, you may not have done an empathy map. 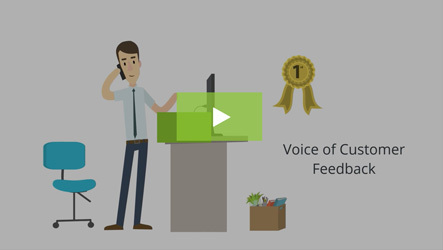 What your user hears – what their influencers are saying, not just about your product, but about their jobs and what constitutes success, what they enjoy, what they don’t like about their experiences with your competitors, etc. 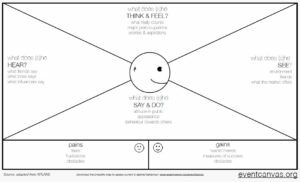 Notice how the empathy map includes business/industry-specific observations, but also branches out into the user’s personal life and larger environment. People are not their jobs – or even their ‘jobs to be done.’ For true empathy, you have to look at the whole person. 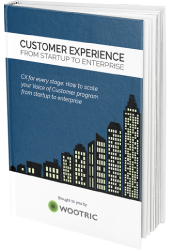 This is a great activity to get other teams involved in – consider hosting a meeting with Customer Success, Sales, Marketing and Customer Service for a wider scope of insights. Activities involving multiple teams help to build a shared understanding of your customers’ experiences that can strengthen the whole company. You’ve probably mapped out your customer/user journey, but you probably didn’t include this: Happy moments. See if you can take your old customer journey map and mark the points where positive, fun, delightful things happen. Can’t think of any? Then you have some serious CX work to do! And of course, also note points where you’ve observed friction, difficulties, and problems, and address those in the order of biggest impact + easiest to implement. Whether that means answering the live chat questions, picking up the phone, or monitoring your product’s customer Slack channel, try out being the Customer Support agent for an afternoon to and put yourself on the front lines! There’s no better way to find problems than to let customers tell you exactly – and in great detail – what they are. And they’ll likely throw in how frustrated it makes them feel too. By now, you probably have a few ideas on how you can improve the customer experience, and it might be time to test those theories. Create a prototype for a select group of qualified users to try (and react to). And, if possible, have them test the prototype in a testing facility that allows you to observe their reactions as they use your product. If there is a Golden Rule for empathy, it’s a simple one: Forget your assumptions and be genuinely interested and curious about what people are feeling (not just what they’re doing) while using your product.